Portuguese singer and musician Lura got her start in music at the age of seventeen when she was invited to be a back-up singer for an album of zouk music by the Lisbon-based singer Juka. A few years later Lura recorded her debut album, Nha Vida (1996), but her real break occurred in 2004 with the release of Di Korpu Ku Alma (Of Body and Soul). The first project to reflect her Cape Verdean ancestry, Di Korpu Ku Alma became a bestseller on the world music circuit and soon Lura was touring internationally. Several of the songs on the album were written by Mário Lúcio Sousa, founder of the Cape Verdean group Simentera that’s known for returning the music to its acoustic roots and embracing African culture as an integral part of Cape Verdean identity. A fine example of this is “X da Questão,” an up-tempo song that also features accordion and acoustic guitar. Brazilian poet and Latin jazz percussionist Naná Vasconcelos is featured on the title track ”Heranca,” a slow, trance inducing song that’s nearly a capella with only gong and percussion offering a sparse accompaniment. This is followed by a much more contemporary, jazz-oriented song ”Barca di Papel,” featuring bassist Richard Bona. Also featured is the rising Cape-Verdean singer/guitarist Elida Almeida on ”Nhu Santiagu.” The album closes with “Cidade Velha,” a very melodic song about a village on the island of Santiago accompanied by acoustic guitar. 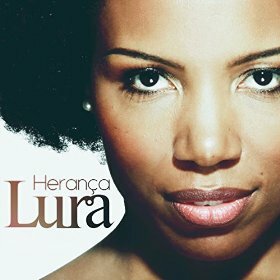 Herança showcases Lura’s captivating voice while offering danceable beats, acoustic instrumentation, and a fine introduction to the lilting rhythms of Cape Verde. This entry was posted in World Music and tagged Heranca, Lura by aaamc. Bookmark the permalink.